This is the latest Sky+HD – 2TB model from Sky. It comes fitted with a brand new super-storage 2TB eco friendly Hard Drive. Stylishly designed in a dark (black colour) and is much smaller in size than previous HD models. Ideal for people who need more space and who record a lot of HD programs. 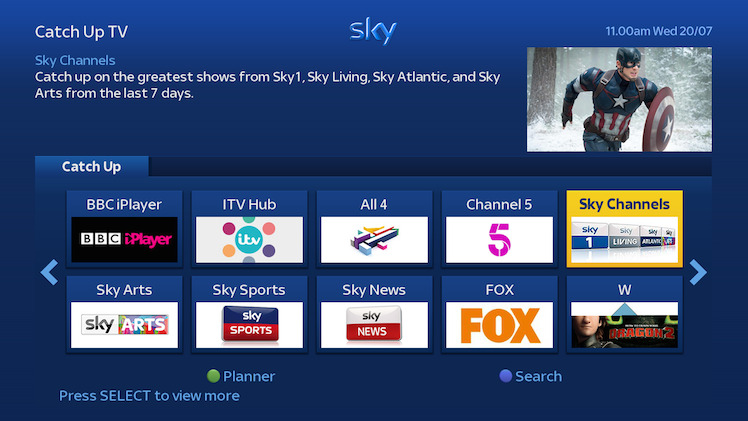 To enjoy the great on demand TV that Sky+ has to offer, including up to 60 Catch Up TV channels, depending on your Sky TV subscription, simply connect your compatible Sky box to your broadband router.